The long holiday (summer for some of us, winter for others) is a great time to READ! If you need some suggestions for good books, look at the web pages we have created to help you. 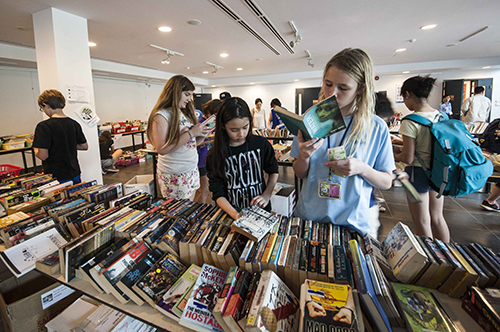 Go to http://libguides.unishanoi.org/summer_reading and find lists and recommendations under tabs for ES recommended reading, the MS reading assignments for all students, and assignments and suggestions for high school students in various classes. There is also a section about ebooks and audiobooks, so you don't have to carry heavy books while you're traveling. We wish our longtime colleague, ES Librarian Julie Conroy, best wishes in her new school, and we look forward to welcoming Monica Mayer to UNIS Hanoi in the ES Librarian role. And we wish all our students, teachers, and families HAPPY READING!